bought 3. But seriously guys, i'm in love. BF shirt is ALWAYS a good idea. Looking good ! ! I love this! That bag is fabulous too. Your style is always spot on, Nicole! Loving the oversized top and those pants!! Gorgeous! 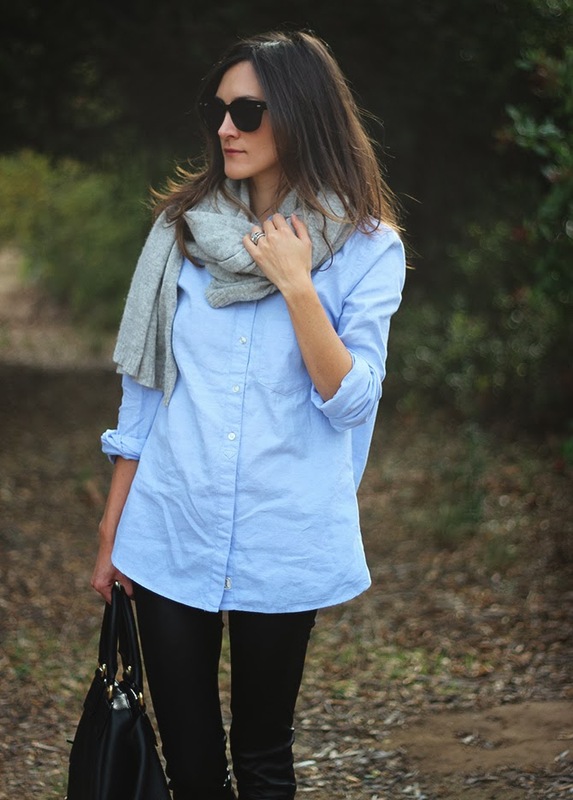 Simple and classic looks are the best. Love the boots! 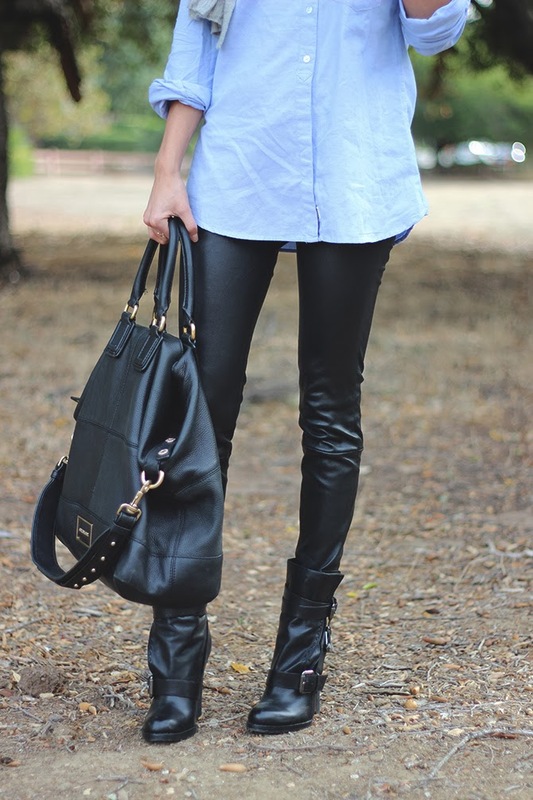 love the crisp blue with leather! 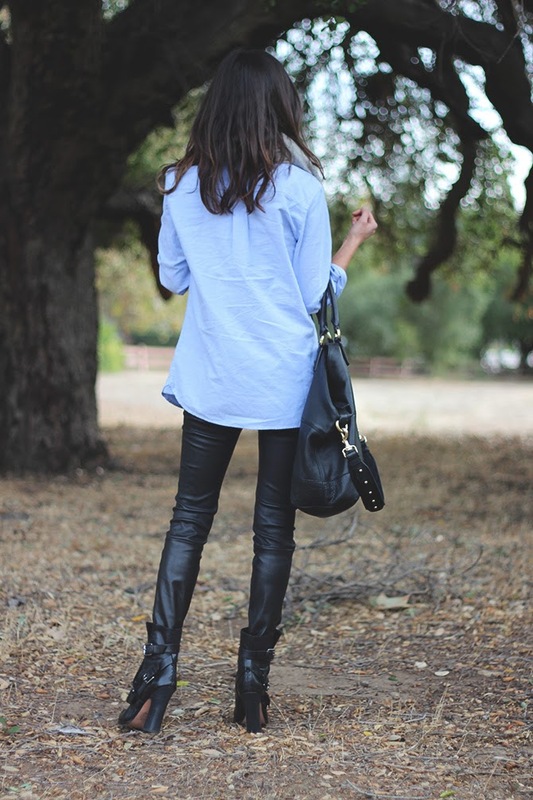 I need to buy some leather pants already! I love yours!